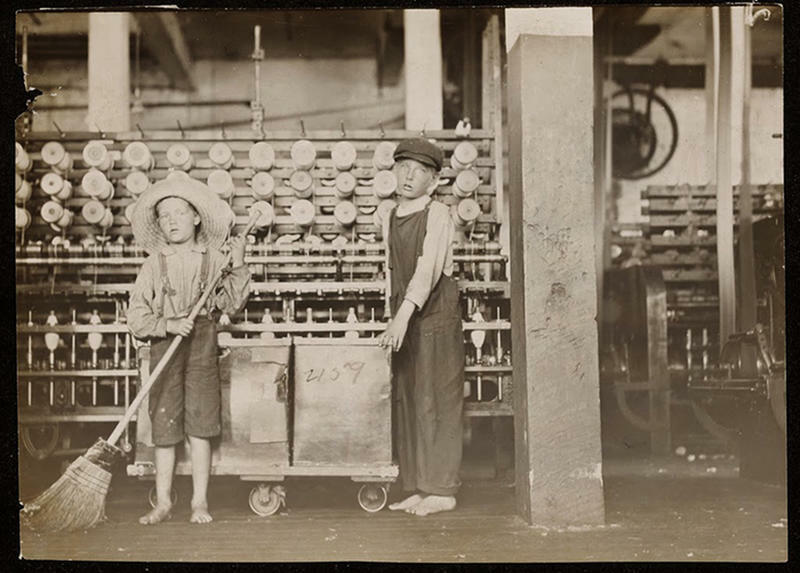 Children as young as five were put to work in some mills, doing the most boring, repetitive and tiring tasks. 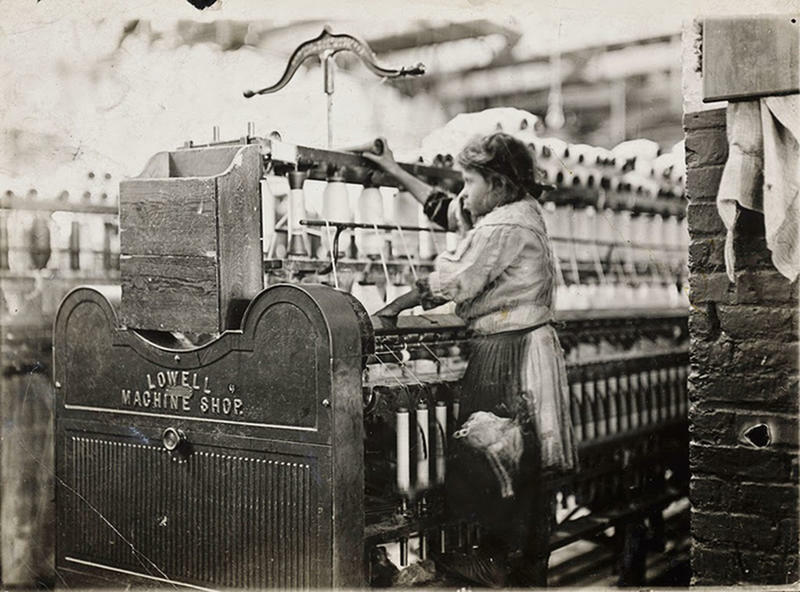 A child worker could spend all day cleaning fluff from the machines or tying ends of cotton - this was a common scene back then. 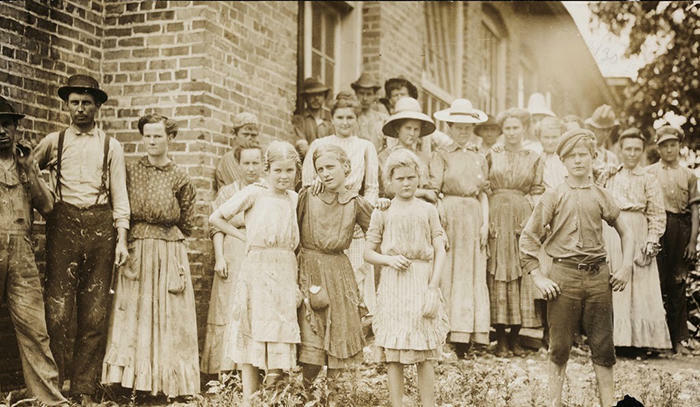 Some of the young workersin the Kosciusko Cotton Mills. The Superintendent of the mill objected to the photo op session, Kosciusko, Mississippi. 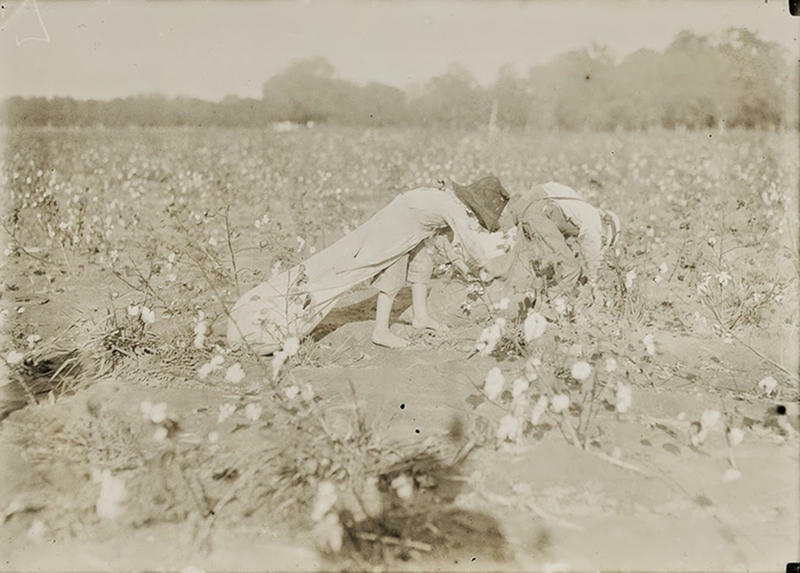 Mart Payne, 5 years old, picks 10 to 20 pounds of cotton a day. Mother said: "Mart, he haint old nuff to go to school much, but he kin pick his 20 pounds a day. Mostly 10 or 15 pounds." Comanche County, Oklahoma. 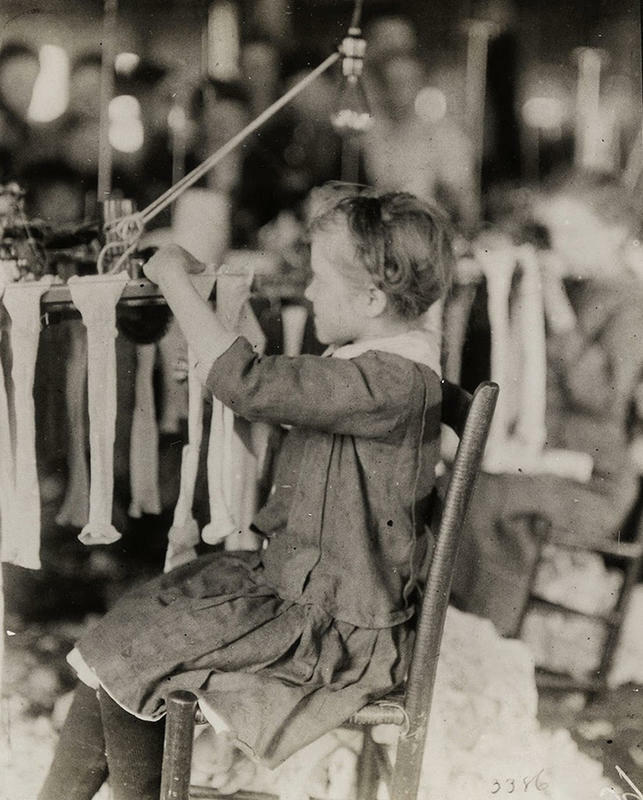 Young girl working at a knittingmachine at Cherokee Hosiery Mill, Georgia, USA 1913. A young spinner in Bibb Mill No. 1. She was so small she had to climb up on to the spinning frame to mend broken threads, Macon, Ga., Jan. 19, 1909. 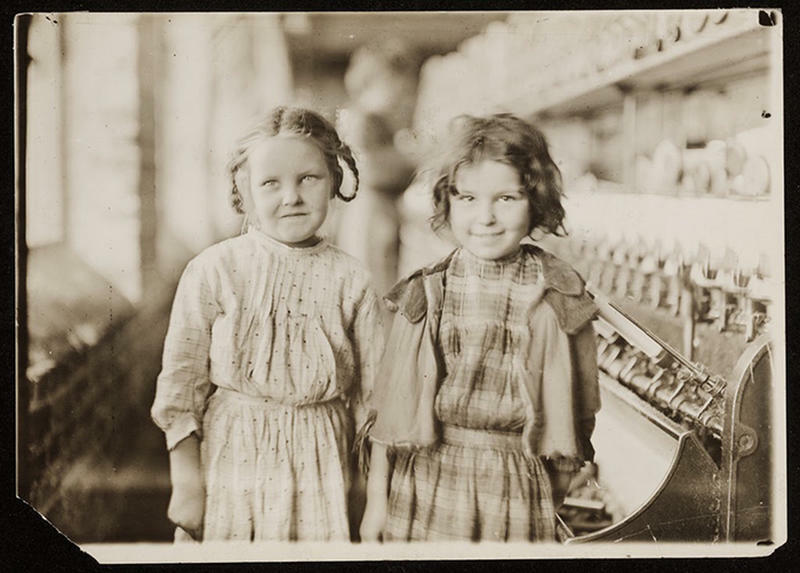 Two of the regular "helpers" in the Tifton Cotton Mill, Tifton, Ga., 1909. 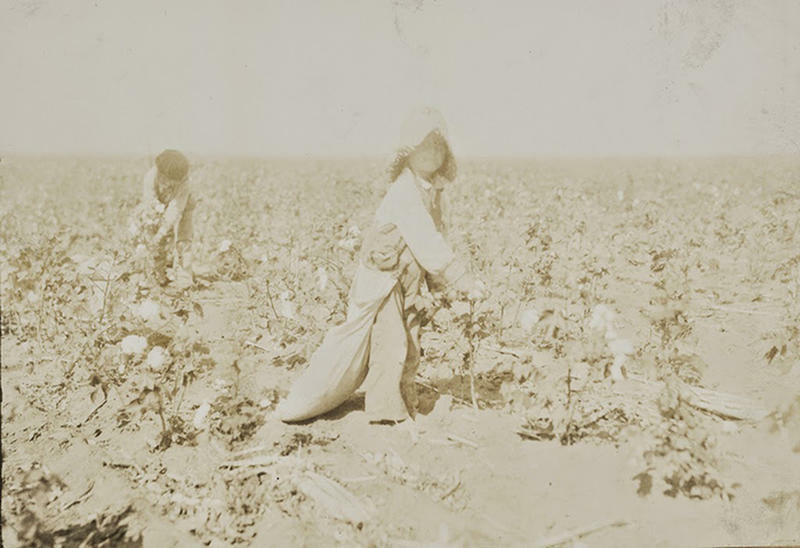 Young pickers on H.M. Lane's farm Bells, Texas, USA 1913. 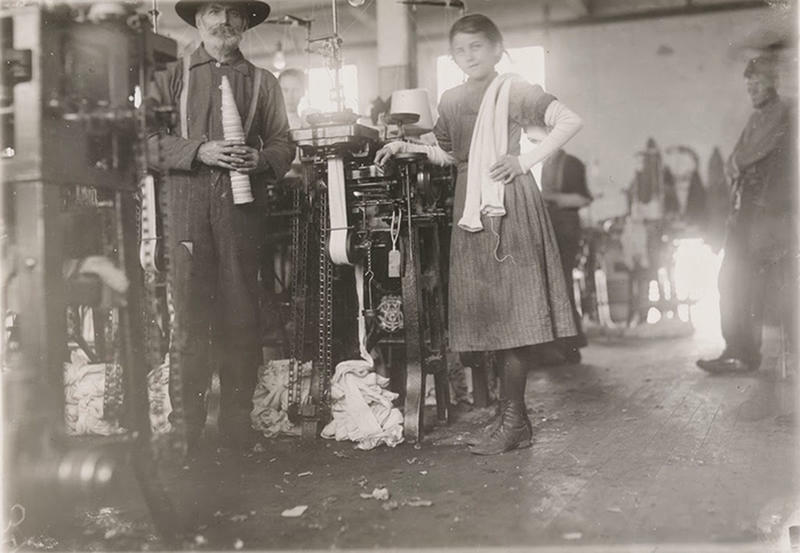 Knitters in Loudon Hosiery Mills, Loudon Tennessee, USA, December 1910. 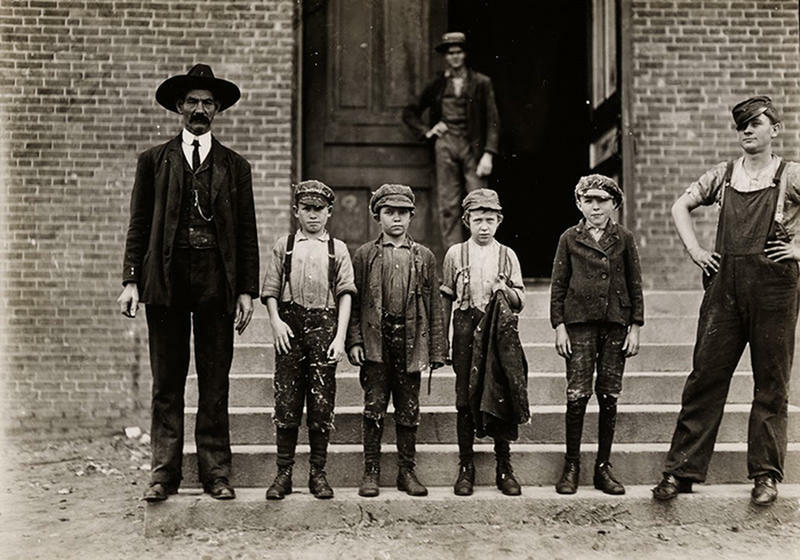 Ronald Webb, twelve-year-old doffer boy and Frank Robinson, seven-year-old doff sweeper, Roanoke (Va.) Cotton Mills. Roanoke, Virginia, USA, May 1911. 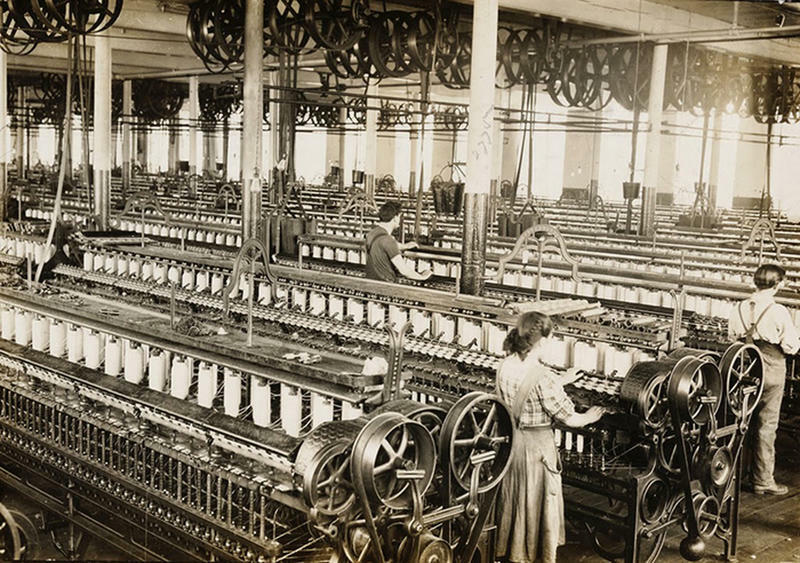 Working at the weavingmachines in The Flint Cotton Mill, Fall River, USA 1912. Boy with coat in hand is 11 years old and has been there 9 months. He started at 50 cents a day, now he gets 60 cents. Gastonia, North Carolina, USA 1908. 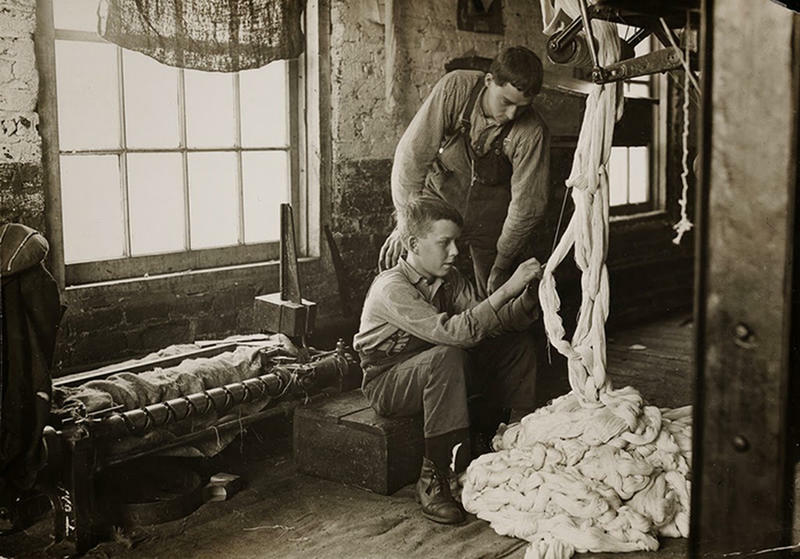 The working force of West Point Cotton Mills. Boy at warping machine in Clyde Cotton Mill, been there 2 years. 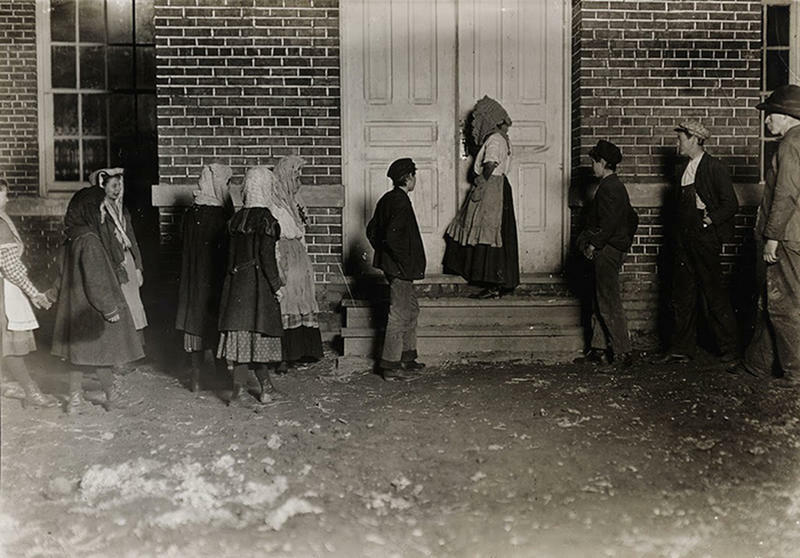 Newton, North Carolina, USA 1908. Cleo Campbell, 9 years old. He picks 75 to 100 pounds of cotton a day, but wants to start school soon. He said: "I'd ruther go to school and then I wouldn't have ter work." Father said she and her sister begin at 6 A.M. and work until 6 or 7 P.M. with 1.5 hours off at noon. Potawotamie, Oklahoma, USA 1916. Children on night shift going to work at 6. P.M. on a cold dark December night. 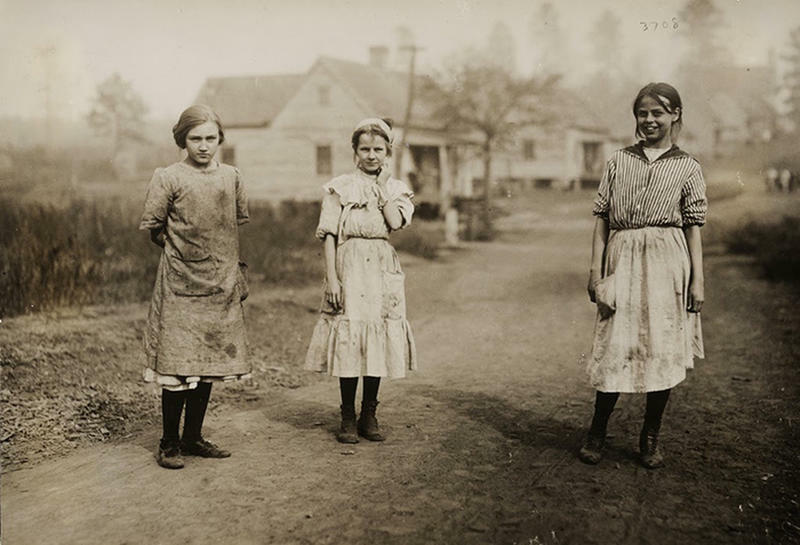 Their shift ends at 6:00 A.M., North Carolina, USA 1908.